ALS in French, signed “HTL,” two pages, 4.5 x 7, circa 1896. 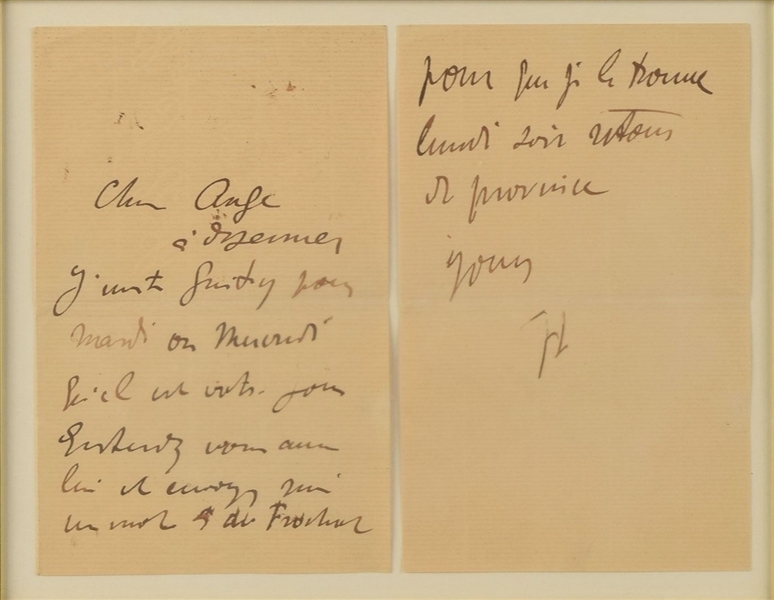 Untranslated letter to a friend requesting that she take care of "Guitry" when the two meet; Guitry most assuredly being Lucien Guitry, an actor, whose portrait Toulouse-Lautrec lithographed in 1898. 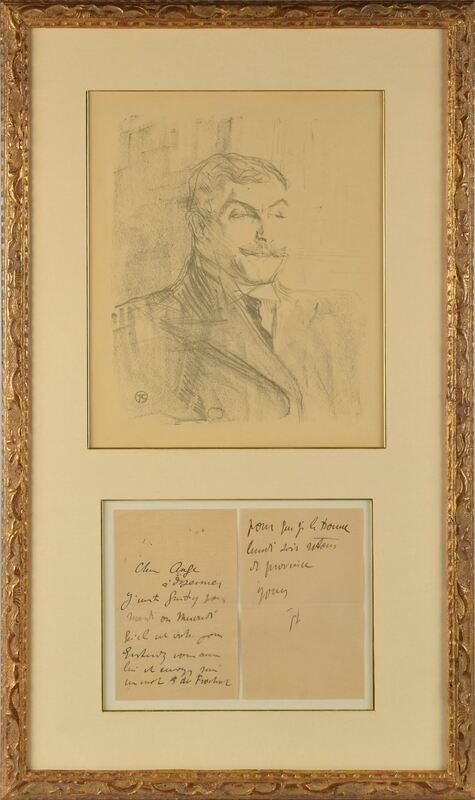 Handsomely matted and framed with an original Lithograph on cream wove paper of Guitry from Toulouse-Lautrec's series Portraits of Actors and Actresses: Thirteen Lithographs, to an overall size of 17.5 x 29.5. 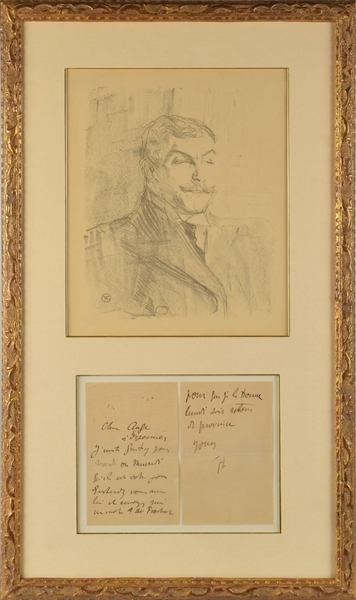 In fine condition.